From October 1, 2009 is required to issue an authorization allowing Rijopleidingen AAK can apply the test for you. The authorization also offers you many advantages. If your exam is reserved for you or if your exam is postponed, you will receive immediate notification. In addition, your address automatically available to Rijopleidingen Barge in reservation CBR. Empowering you to do mijn.cbr.nl your DigiD. 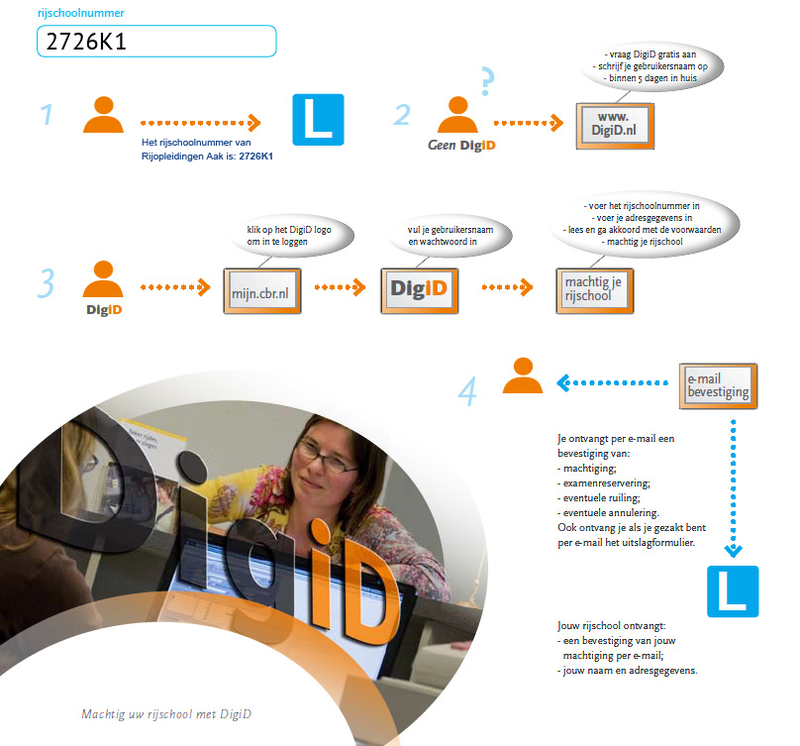 DigiD is your personal digital credentials for government. Never give it to someone else. Below is exactly what you need to do to empower Rijopleidingen Barge. The authorization is valid until you've passed. Do you want to cancel the authorization previously, please check mijn.cbr.nl for conditions.